OASE ProfiClear Premium rotating drum filter systems for fine debris extraction in Koi ponds, large ornamental pools and swimming ponds. OASE Germany have revolutionised pond cleaning with their cutting-edge ProfiClear Premium rotating drum filters. These highly successful systems will automatically screen out debris as small as 30 microns (1/3rd the thickness of a human hair) and the self-cleaning drum will purge out the waste automatically when it deems itself dirty. The result is truly crystal clear water clarity which makes these systems perfect for avid Koi Carp keepers, swimming pond owners and larger scale ornamental ponds. 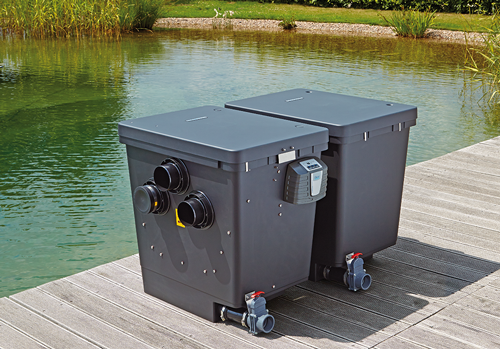 For smaller ponds up to 80,000 Litres or Koi Ponds up to 20,000 Litres, OASE have developed the BioTec Premium 80000 and Compact M drum filters which are highly capable, compact pond filters with integrated self-cleaning drum and biological media segments. OASE have also released the ProfiClear Premium Compact L drum filter which can clean ornamental ponds up to 120,000 Litres and features a full-size drum and Hel-X biological filter media. 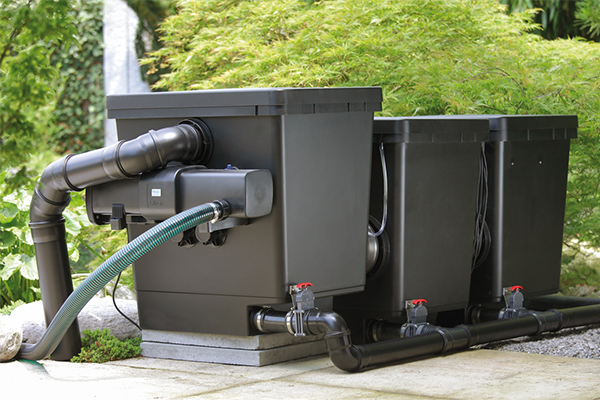 The flagship ProfiClear Premium L modular system is the largest in the range, offering filtration in ponds up to 200,000 Litres and multiple rows can be used for larger bodies of water. With the exception of the BioTec Premium, all drum filters are available in pump fed or gravity fed guises. 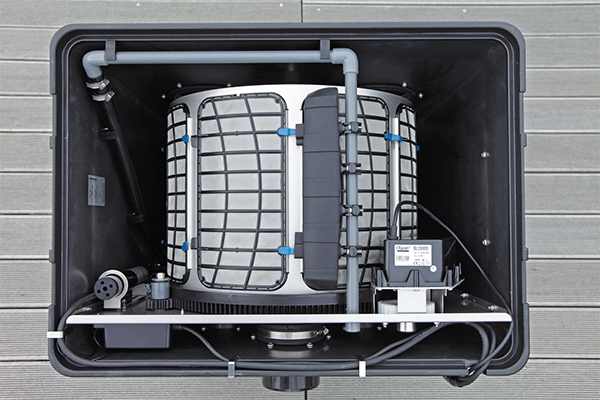 Gravity systems are usually installed on bottom drain fed Koi ponds and swim ponds whereas pump fed systems are powered via a submersed pump or dry mounted pump in a sump chamber. All ProfiClear drum filters have been designed to neatly integrate with the OASE Bitron and Bitron Eco Ultraviolet Clarifiers and the larger modular systems can be coupled with multiple Moving Bed biological modules to remove unwanted nutrient.